Having a straight, beautiful smile is good for your self-esteem and for your oral health. Unfortunately, many teens and adults have teeth and bites that are misaligned. Crooked teeth, overbites, underbites, gaps and other orthodontic issues can detract from the beauty of your smile. They can also make it hard to maintain excellent oral health. At Ora Dentistry, we offer aesthetic orthodontics that are discrete and effective to improve the beauty and health of your smile. Not everyone is blessed with a naturally straight smile. Many teeth grow in crooked or become impacted. Misaligned bites can cause problems when your upper and lower teeth do not meet, making it difficult to chew and affecting your smile. Orthodontics can transform misalignment issues, shifting teeth and the jaw into the right positions for a beautiful, healthy smile. This makes it easier to keep teeth and gums healthy as crooked or twisted teeth can hide bacteria, plaque and tartar. If you have been wishing you could improve the beauty and health of your smile with orthodontics but did not want metal braces, now you can. Both Invisalign and ClearCorrect are comfortable discrete solutions to fixing your alignment issues. Dr. Dalla at Ora Dentistry can evaluate your smile and discuss both options to determine which is best for straightening your smile. Contact Ora Dentistry today to learn more about our clear orthodontic treatments. 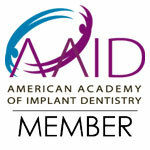 We accept dental insurance and also have payment plans to help you make your treatment affordable on any budget.